The GSA Advantage! on-line shopping service is an internet procurement solution for the federal government. For many years, GSA (U.S. General Services Administration) has been the provider of millions of goods and services to the federal government. Now, through the Internet, authorized federal agency personnel have access to a larger array of products and services, including the ability to order directly from their desktop PCs. If you qualify, you can save money and purchase at a GSA approved discount via the federally approved government procurement website GSA Advantage. 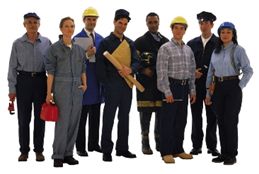 If you are purchasing on behalf of a local, state, or federal government, or a public agency within the U.S., or you are an active duty serviceperson or employee of a government agency, you can qualify for immediate pricing discounts simply by filling out an application. Once approved, with a valid username and password, you will have access to the secure GSA portion of the GSA Advantage website. What does BEST VALUE mean? Best value represents a well thought-out purchase decision based on your agency's needs. Based on these needs, several important factors such as price and terms and conditions are considered. How the new GSA Advantage can help. 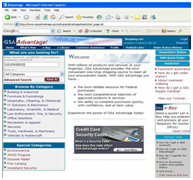 The GSA Advantage website makes it easier than ever to make a best value decision. Once you have narrowed down your search to a specific product, clicking the "Buy/Compare" button takes you to the Product Detail page. *Tip - if a product is sold by more than one contractor, the GSA Advantage website will display the number of contractors offering the product next to the "Buy/Compare" button. On the Product Detail page, under "Compare Available Sources" all contractors offering this product will be listed (in price ascending order). From this table you can easily compare pricing, and terms and conditions (socio-economic status, delivery days, minimum order, FOB shipping). GSA Advantage provides the helpful tools and information to assist you in making an effective best value decision.